Dependable Engines are racing across the sky. 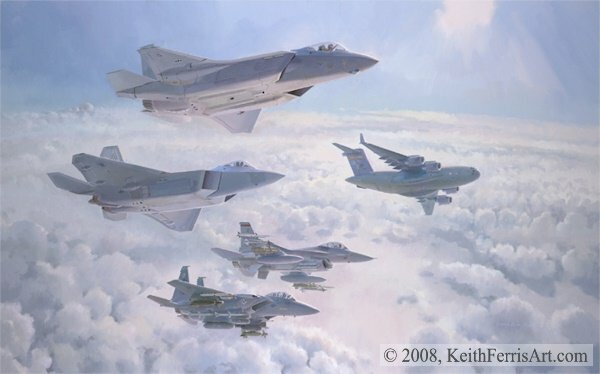 The USAF inventory currently includes the Lockheed Martin F-16C Fighting Falcon, the Boeing F-15E Eagle, the Boeing C-17A Globemaster III, and the Lockheed Martin F-22 Raptor. Soon to be added with be the Lockheed F-35A Lightning II, which will be the basis for future fighter force structure. These magnificent aircraft are all powered by Pratt & Whitney engines.